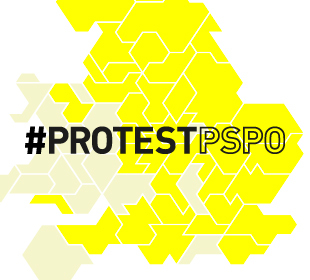 The collection contains submissions from all over the world, and also from individuals including the Turner prize-winning artist Grayson Perry. Images include : a sign outside a Sussex beach reading ‘Caution – uneven surfaces'; an official smoking area in a Walsall supermarket carpark; a Krakow tram’s ban on music and ice-cream; a warning outside a Tooting cemetery that ‘all memorials have the potential to harm’. 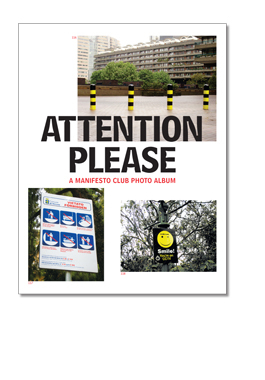 The Manifesto Club is publishing ‘Attention Please’ in an attempt to expose, and (we hope) shame the officials who put up these signs. At present, it seems that there is never a good reason for officials to not put up a safety sign. We’re calling for a reversal of the burden of proof: it is the person unrolling the safety tape who should have to prove why a particular sign is necessary or helpful. If it isn’t, it shouldn’t be in public. Read selected extracts from Attention Please. Buy a copy of Attention Please using PayPal’s secure online payment service below. Please choose correct postage for UK (+£1.50), EU (+£2.00), or Rest of World (+£2.50). Next Next post: Regulating Trust: Who will be on the Vetting Database?